When we first looked at our current apartment, in a high rise glass building on a 3-lane street, my husband said something along the lines of “it’s just like Carr Manor Road really” (referring to the quiet suburban street in Leeds we were moving from). To be fair it was a weekend and it was particularly quiet. But it was nothing like Carr Manor Road. It was our first night in the apartment when we realized that we live just around the corner from a fire station and a police station. And busy ones at that. That was the first time I repeated the famous ‘Carr Manor Road’ line to him! We don’t notice the sirens anymore, but those first few weeks we lie awake listening to them praying they didn’t wake our little boy. Most nights we were sure something really serious was going on because of the amount of noise. It took us those first few weeks to realize that was just a regular night in New York City. 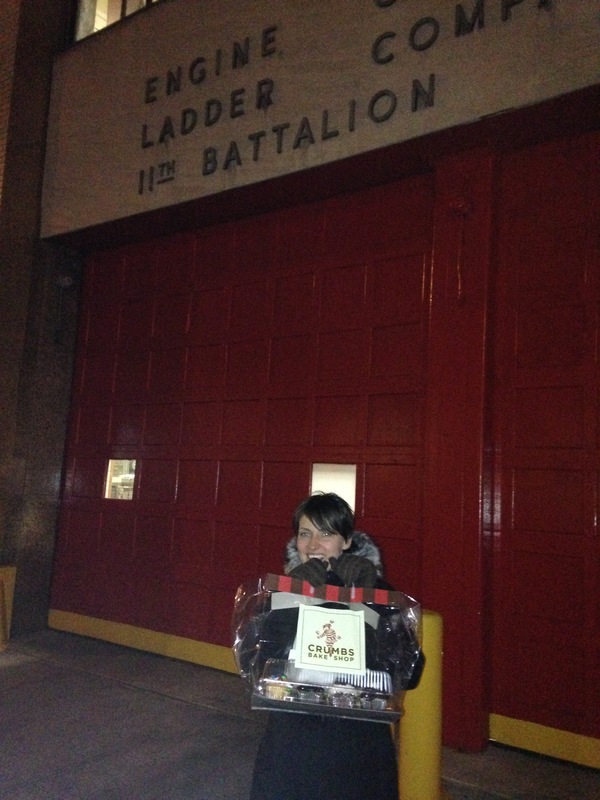 So tonight, I decided to repay those hardworking fire fighters with a few treats. It was also a good way to cheer up a little guy who came home from school sick and feeling very sorry for himself. One mention of the fire station and he was happy again. So we delivered a box full of cupcakes and a thank you card to the heroes round the corner. The ones who thankfully no longer keep us awake at night. PreviousCan you feed one more for Christmas?